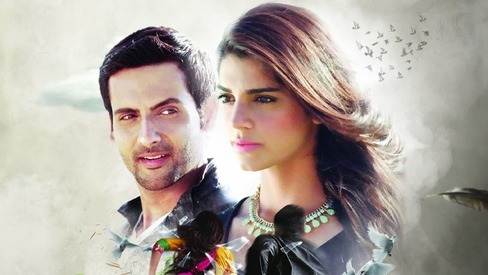 After appearing in HUM TV's Firaaq (2014) together, Mohib Mirza and Sanam Saeed also made their big screen debut together in 2016 with Bachaana. The duo is now working on their third project together, the upcoming serial, Deedan that will air on A-Plus; the show has been shot in Hunza and is a fierce love story that also shines a light on Pakhtoon culture. Speaking with Images earlier, Sanam had revealed that Deedan is a thriller drama revolving around a pair of star-crossed lovers. From the teaser, we can deduce that the story revolves around Resham who's been sentenced to be stoned to death by the tribal jirga of the area. While it hasn't been revealed why they've done so, it's clear that Mohib Mirza's character is racing against the clock to save the woman he loves. The drama will also star Ajab Gul, Rasheed Naz and Huma Nawab. Directed by Amin Iqbal, it is expected to begin airing by the end of September on A Plus. Do you think the two got the Pashto dialect right? Let us know in the comments below. You mean accent. There is a difference between dialect and accent. An accent becomes a dialect when the differences between it and other speakers of the same language begin to include differences in vocabulary and/or grammar. As long as the differences are principally in pronunciation it is an accent, not a dialect.